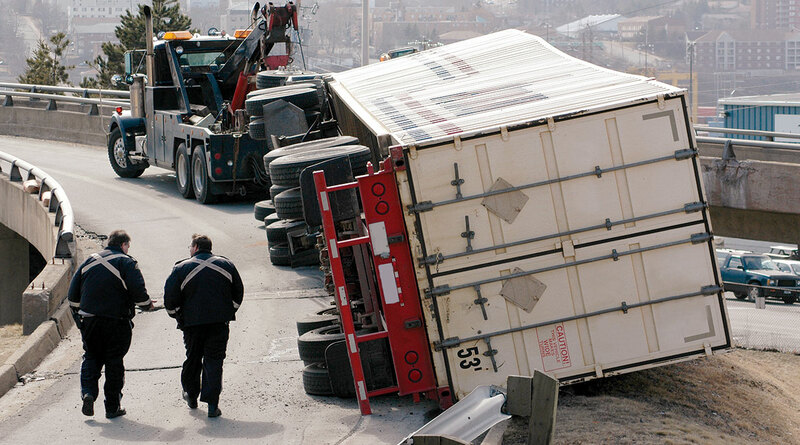 American Trucking Associations’ Technology & Maintenance Council — through its S.16 Service Provider Study Group — recently identified heavy-duty truck collision repairs as being one area of fleet maintenance in which there are currently no codified best practices. For a facet of fleet maintenance that has been around for as long as there have been trucks rolling on the highway, it was somewhat surprising that the industry has not focused on standardizing fleet-service provider communications and expectations for this important function. In 2018, S.16 established two new task forces to attain consensus on both best practices for heavy-duty truck collision repairs, and to build a road map to guide fleet management through the process of returning damaged trucks to service. Chris Sterwerf, chief operating officer and chief financial officer for Fairfield Auto & Truck Service in Fairfield, Ohio, is playing a lead role in these task forces. He is chairman of the Heavy Duty Collision Repair Guidelines Task Force. “Trauma doctors undergo continuous training in new procedures and technologies in treating their patients,” Sterwerf said. “Sending a modern high-tech truck to the body shop after a collision is a lot like going to a trauma center. How those repairs are conducted and how they ­affect the many systems on that truck will determine ­whether that truck will be able to operate safely.” The most dangerous statement you never want to hear is, “ ‘That’s how we’ve done that repair for 30 years,’ ” Sterwerf said. The Heavy Duty Collision Repair Guidelines Task Force is examining the repair process itself, how repairs on one system must be sequenced and how managing the repair process affects both repair success and cost. Portions of the repair may well need to be sublet to a secondary provider, such as a frame shop, spring shop, dealership or body builder. Insurance company representatives must be actively engaged throughout the process to walk the tightrope of cost containment while conducting quality repairs. A pre-repair diagnostic scan to identify the baseline of what was damaged prior to the start of repair not only will help ­sequence the various stages of repair, but ­order parts to arrive when they are needed and to identify potential areas of repairs that are not obvious by visual inspection. The nature of the accident and physical damage sustained will indicate a list of items to be checked. For example, if there is damage to steering axles and wheels, will that indicate a need for dye penetrant or particle inspection testing of other steering components for fractures, micro-fractures or internal fissures? If the post-collision repairs will involve multiple shops, scheduling of bay time and towing arrangements between facilities can dramatically affect costs of repair, time of repair and the resulting loss of revenue/cost of replacement. In a rollover collision, inspection of the engine and emissions control systems should be an early priority, possibly with a pressure check and diagnostic of delicate aftertreatment systems. If the engine has been rendered nonviable by the wreck, these costs can easily outstrip the costs of body repairs. In a situation in which the cab must be repaired, will the shop use fasteners and fastening/attachment methods that will provide the same state of safety and occupant protection that the original equipment manufacturer intended? Can it be returned to the OEM’s original dimensions, and will three-dimensional measuring verify that has been achieved? Will the repair process include checks for water leaks and vibrations after repairs are completed? Collisions involving damage to bumpers and bumper covers also will require removal and reinstallation of radar/lidar emitters and wiring, even if undamaged. Bumper and front frame misalignment can affect the aiming of these components and the performance of active safety systems, such as automatic emergency braking and lane departure warning/control functions. Who in the repair process will be responsible for testing and verifying that all safety systems are functioning properly? Joey Fassett, general manager for Al’s Automotive and Truck in Exeter, N.H., chairs S.16’s Heavy Duty Collision Roadmap Task Force. It will be “an invaluable aid to fleet managers in choosing repair shops,” said Fassett, who ­noted that now is the time for TMC to address the issue. “The Heavy Duty Collision Roadmap Task Force seeks to lay out guidance in not only identifying the repair shop or shops that are best qualified to perform the repairs needed for the specific damage suffered in the accident, but that can also conduct those repairs so to restore the same level of safety, performance and durability that the truck was able to deliver when it was built by the OEM,” Fassett said. Being able to ask questions as to whether the shop is equipped to handle the sophisticated metals being used in truck frames is more important and safety-critical than how many years the shop has been straightening and welding truck frames, he said. Fassett stressed that failure to respect the metallurgy of the frame may cause cracking and premature fatigue once the truck is returned to service. Repairs that affect wiring harnesses and connectors not only involve those components that may have been physically damaged, but how repairs adjacent to wiring bundles are conducted so as to not cause damage or deterioration to electrical components or to introduce currents that may damage circuits and control logic modules for active safety systems. Many sensor and telematics systems and control modules operate on micro voltages and can be severely ­affected by grounding an arc welder into the truck frame. Manufacturers stress the need to isolate these sensitive systems during repairs. Knowing that the collision repair shop is up to date on the technologies on a particular spec’d truck can avoid significant unintended consequences. Returning a collision-damaged truck to full, productive service requires active oversight by both the repair provider and the repair process in order to minimize downtime, risk and cost. TMC encourages fleets and service providers alike to become active in these two S.16 task forces to share their knowledge and experience for the benefit of the industry. For more information, contact me at: ­­jlegler@­ ­trucking.org. TMC members can become active members of the S.16 task forces through our online community, TMCConnect (tmcconnect.trucking.org). Jack Legler manages the Technology & Maintenance Council’s recommended practice development process.